Unlike certain specialty cocktails, you don't need to have an excuse to enjoy a margarita. Are you at a tailgate with a bunch of Parrotheads? A party with family and friends? Trying to unwind after a long week at the office? An ice-cold frozen margarita can do the trick in all of these and dozens more situations. Although you don't need a special event to use your frozen concoction maker and whip up that famous tequila and lime cocktail, there are certain foods that it pairs with better than others. Make sure you enjoy one of these dishes with a drink in your hand to improve the taste of both. If you're just sipping on a margarita or two with friends, it's a great idea to keep the food you serve light. 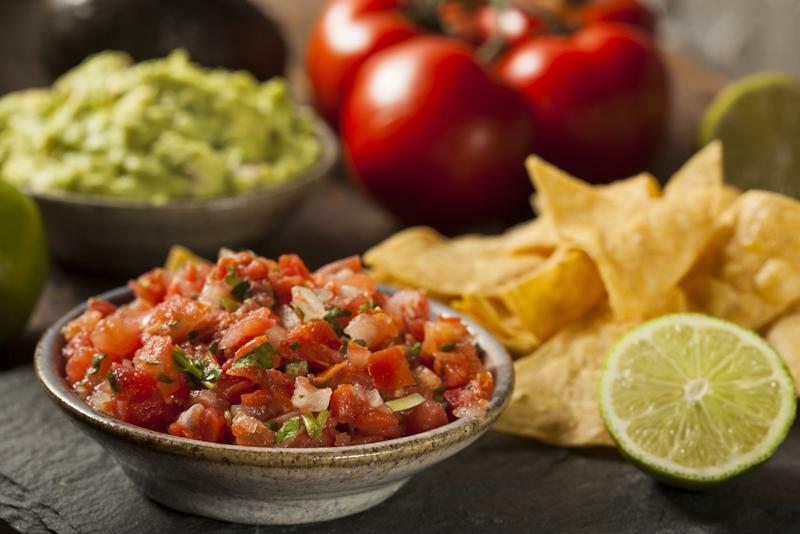 Try some simple tortilla chips with salsa and guacamole or spicy taquitos. These small dishes are the perfect snacks to satisfy your appetite without making you feel full. Not only are the Mexican-inspired foods from the same country that invented the margarita, but their flavors are complementary. The lime works with with the cilantro, tomato, avocado and spicy pepper flavors in these light dishes. Just as spicy jalapeno and serrano peppers make your salt-rimmed, lime-filled margarita taste better and more refreshing, Cajun spices are perfect to serve with your frozen margaritas as well. Consider grilling some shrimp or chicken with Cajun spices or go all-in with a stew or gumbo. Bold Cajun recipes are perfect for a themed dinner party. Invite your friends over and try a few new recipes while keeping the drink menu traditional. Whether it's Jamaican jerk or one of the other strong, unique flavors from around the Caribbean, island flavors are extra delicious with a margarita. These dishes work well with your cocktail taste-wise, but they also create a fun geographical pairing. When your guests are sipping a frosty marg, they'll also be eating fresh seafood and feeling like they're actually at a Caribbean resort just feet away from the beach. "Set up a build-your-own fajita stand with classic and unique hot ingredients"
Aside from the smaller Mexican appetizers that go great with margaritas, more substantial meals work well too. Enchiladas, burritos or even tacos can be good for a small dinner or a party. Try making your own fusion recipes by combining classic tacos with teriyaki steak or fruit-filled salsa. These are great choices at a large party because you can serve a big group without much effort or cost. Just make a large dish of enchiladas or set up a build-your-own fajita stand with a mix of classic and unique hot ingredients. Your guests will love it. Ensure the frozen concoction maker is nearby, too.